The best and least expensive kilowatt hours are those you do not use. You avoid generating them, and they result in no emissions or other negative impacts on the environment. 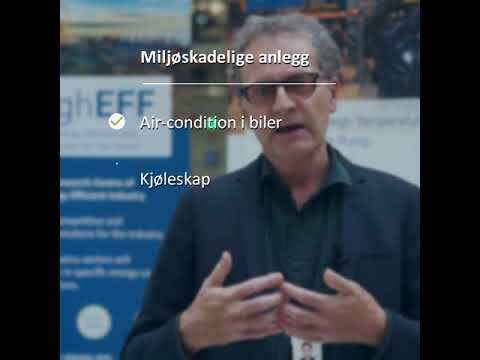 For this reason, reductions in specific energy consumption by means of energy efficiency measures are crucial to both Norwegian industry and wider society. 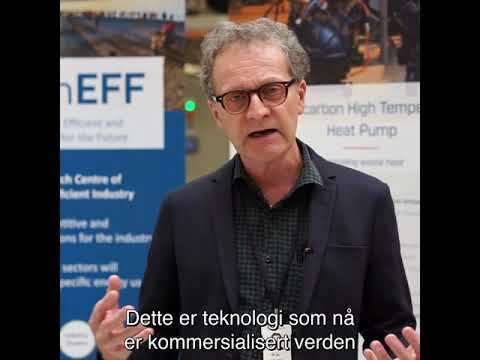 Energy-efficient industrial production has played an important role in Norwegian industry as the country continues to exploit its natural resources in the forms of hydropower, minerals and, more recently, oil and gas from the continental shelf. But now it is more important than ever to promote even greater efficiency in the industrial consumption of energy resources, while at the same time working to identify technologies that minimise greenhouse gas emissions. 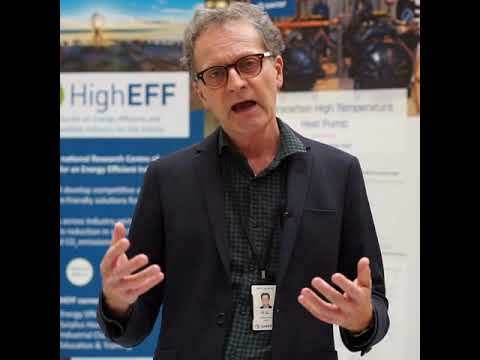 A big part of making the industry greener and more energy efficient is to eliminate potential leakage of very potent (artificial) greenhouse gases from e.g. heat pumps. A way to do this is to replace these artificial gases, or working fluids as they are called, with natural working fluids which will not harm the environment if they leak out into the atmosphere. SINTEF and NTNU have decades of experience in using natural working fluids and Norway has come a long way in implementing them. 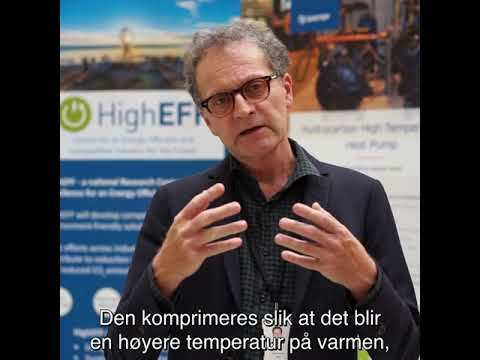 Now, HighEFF is looking to use the knowledge on natural working fluids in new areas, e.g. for surplus heat capture and utilization. 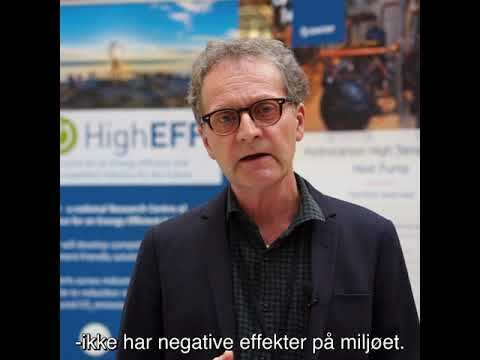 Watch the mini-series below (in Norwegian) to learn more on natural working fluids and how HighEFF is looking to use them to make the industry greener and more energy efficient. Ep2: Hvor bruker man arbeidsmedier? Ep3: Er kunstige arbeidsmedier egentlig så farlige?